Aside from Isla Reta where we opted to stay for the night, there are two other popular beaches in Talicud island- the Babusanta and Dayang Beach. 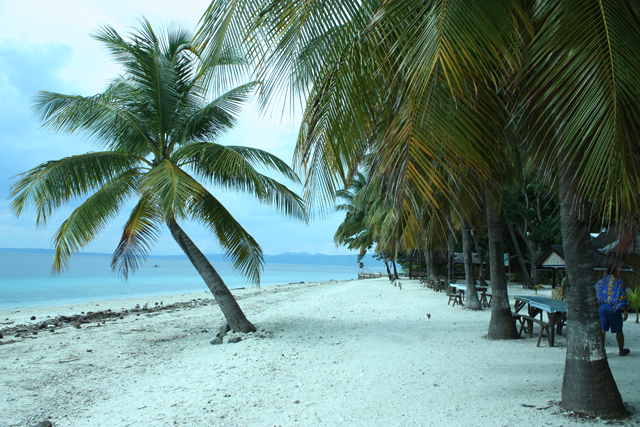 These two resorts are located just beside each other and are about 20-minute habal habal ride away from Isla Reta. After enjoying the sand and the waters of Isla Reta for two hours, my friend and I decided to make a quick visit to these two beach resorts. We went out of Isla Reta and walked for 5 minutes to Sta Cruz, the main barangay of Talicud island and were immediately approached by several habal habal drivers at the wharf. “Papunta kami Babusanta (we’re going to Babusanta,)” I said. One of them was quick to say “Singkwenta pesos lang po, papunta dun.” (Fare is P50, going there)”. “Para sa dalawa? (P50 for two? )” I asked. “Hindi po. P50 pesos bawat isa (P50 each,)” he replied. “Balikan na ba yun? (round trip? )” I again asked. “Hindi po. P100, bawat isa, balikan (P100 each round trip)” he shot back. We agreed and from the look and smiles of the other drivers, I knew that was a generous amount. The road was mostly rough and there were times when we had to get off the habal habal (motorcycle) and walk past several dangerous parts to make sure we avoid accident. Our driver later parked the car at the entrance of Dayang beach. 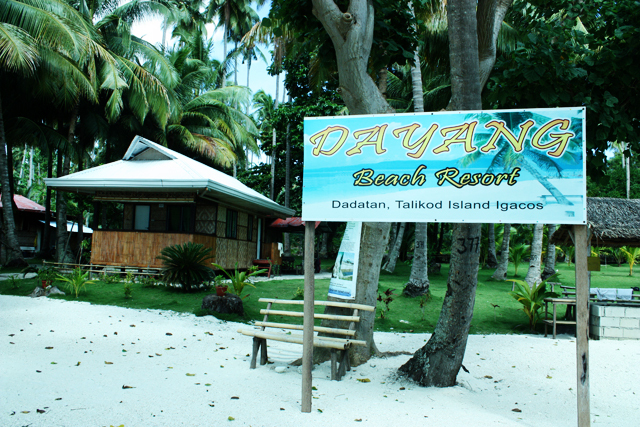 Dayang Beach Resort. We told the lady caretaker we only wanted to see the beach and won’t stay longer than 15 minutes but she still charged us with the entrance fee (P50 each.) 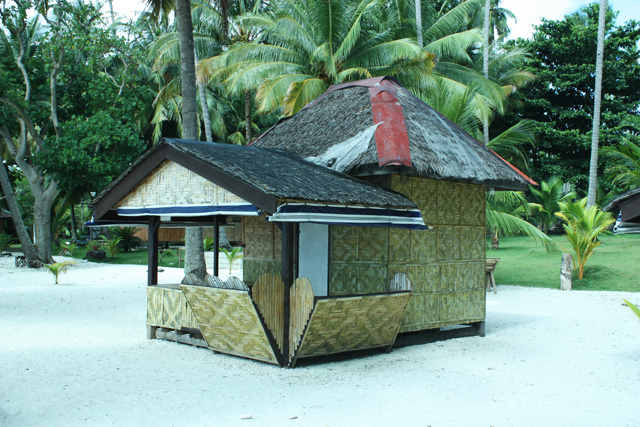 The resort has nipa hut cottages at very affordable prices. They have rooms that can accommodate 5 persons at P500. I wasn’t impressed with the beach though. It was rocky and was mostly consist of broken dead corals and during our visit it was littered with piles of dried leaves and twigs. 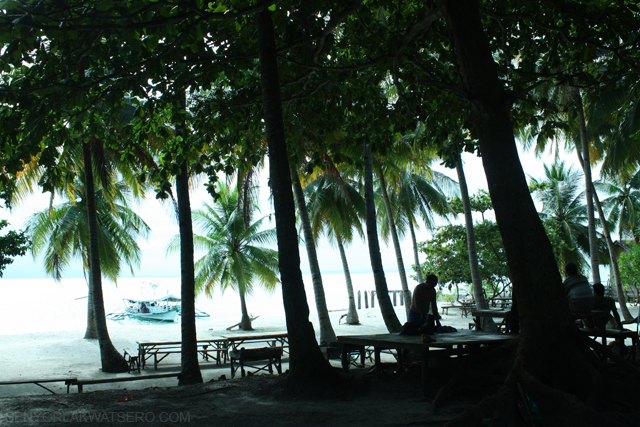 Babusanta Beach Resort. 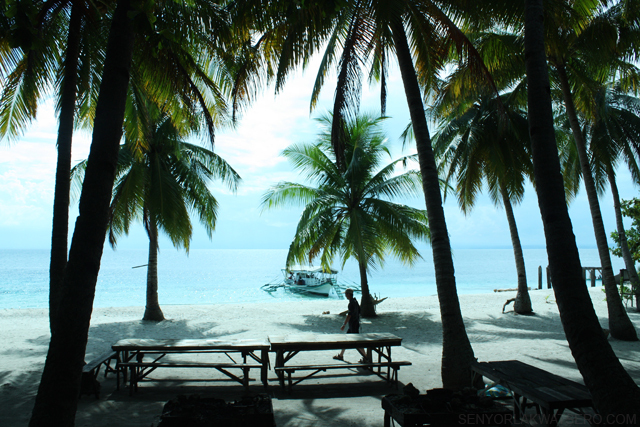 Although Dayang and Babusanta share the same shoreline, the beach fronting Babusanta was well-maintained with less dead corals and and it looked cleaner and better. As we entered Babusanta from Dayang Beach, we were welcomed with a big smile by Mang Bebot (pronounced as bee-bot 🙂 ,) the resort’s caretaker, and asked us if we wanted to buy coconuts, which we did for P35 each.The scenery at Babusanta was very relaxing and Mang Bebot was very accommodating and so nice to speak with. They only have open cottages as accommodation though which is more suited for a day tour. Those who wish to stay overnight may choose to stay in these open cottages, or rent a tent from Mang Bebot for P75 only, or stay in one of the nipa hut cottages at Dayang beach. There was no entrance fee at Babusanta. I really liked the laid back mellow atmosphere at Babusanta. The scenery was very refreshing. 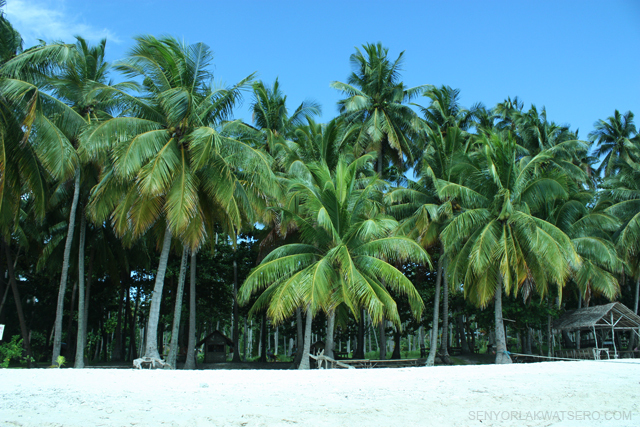 I could imagine myself just sitting under the shades of the trees and being lulled to sleep on one of the papags (makeshift bamboo beds) by the gentle sound of the waves and the wind softly rustling through the leaves. Our visit to Babusanta maybe short, but it sure was sweet, and I know that each time I would look at the few pictures I’ve taken of the beach, I would always feel the urge to go back. From Sta. Ana Wharf, there are boats going to Babusanta and Dayang beach at 1:30PM. Monday to Saturday only. The boat leaves the beach at 7AM the following day. Another option is to take a boat going to Sta.Cruz wharf, just beside Isla Reta and then take a habal-habal to Babusanta or Dayang beach. The earliest boat going to Isla Reta or Sta.Cruz wharf leaves at 9AM. Last trip is at 3PM. For first time readers, this post is the 4th of the series of destinations I visited during my trip Davao. You might also like to read, Part 1,Part 3, of this series. Thanks! I miss Talikud! Too bad about Dayang. 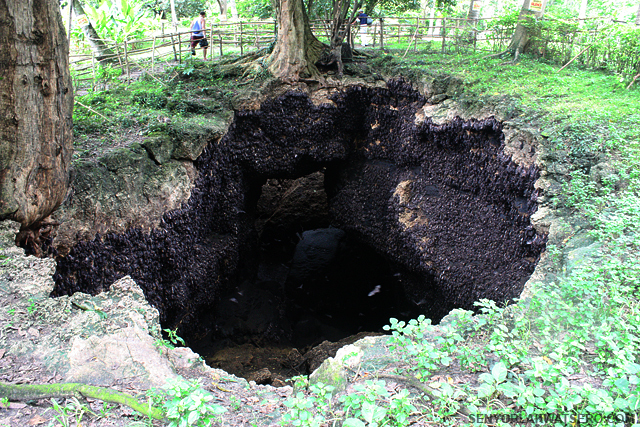 It was the part of Talikud that we were able to visit and when we went there, it was pristine! I love Dayang and everything seems so homey and affordable! The bigger two-storey huts go for just 700 and that’s a deal I plan on getting the next time I’m there. i guess the condition would depend on the season. it could have been better though if it was better maintained just like what babusanta did on their beach front. you’re right, eileen 🙂 accommodation at dayang beach is pretty cheap, a good option for those who wish to stay overnight and would want to enjoy babusanta at the same time. 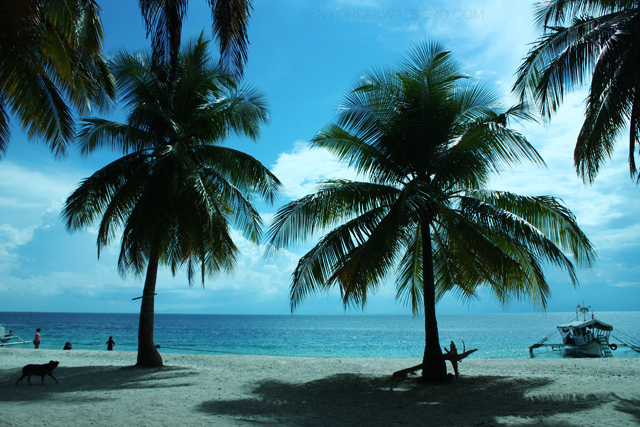 i saw your pictures in your blog when you went island hopping/scuba diving at talicud island. it looks like you had so much fun, nga. gusto ko din sana mag-dive, pero ala ng time. yeah, white sand din sa dayang beach, pero medyo rough due to the presence of dead corals. “Sigh” memories, there’s so much to see on the island, too bad we only stayed for a short while. White sand din ba yung sa Dayang Beach? san pwede mag rent ng boat for island hopping sa samal..
WOW! what a beautiful place. i wish i will be able to visit this place someday. 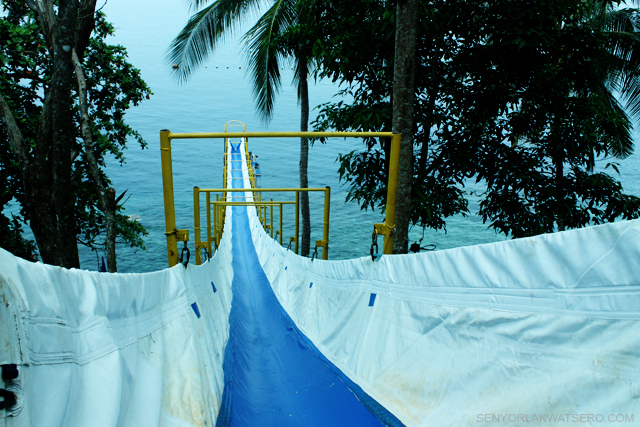 Would like to see these resorts when I have a chance to visit Samal. 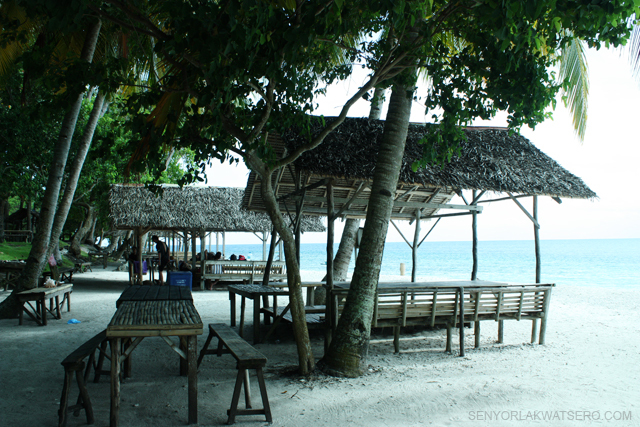 My last visit to Samal back in 2009 was just for short time. very informative. is it safe to go on island hopping here alone? I was able to visit Babusanta and glimpse of Dayang (I didn’t enter their premises as I might be charged for it) when I was in Davao last weekend. There were lots of pebbles, crushed dead corals, hermit crabs and star fishes in the area. The sand was white and powdery but rarely felt because of the corals. Water is clear but still with corals and pebbles. I’m not sure on the farther side though kasi biglang lalim yung tubig. True, the resort has laid back feel, which is nice. Picturesque talaga ang Babusanta kaso mahirap mag take ng pics pag mag-isa lang. I forgot to bring my tripod. Hi,punta kami sa davao this april,it’s our first time. i have searched and came across your blog,really helpful at ang ganda ng mga palces. there are 3 of us,hubby and our son. 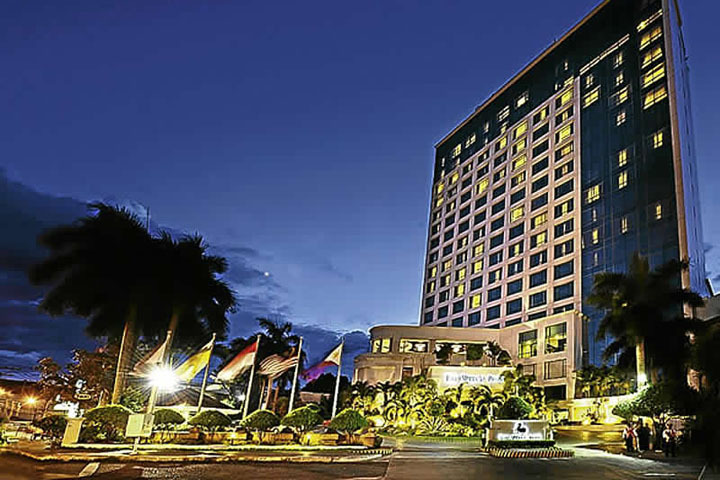 balak ko mag stay sa samal ng 2 nights,preferably at Blue water resorts. ask ko sana, paano kami makakapunta ng Isla Reta, Talicud Is from Blue Water which is in Samal. Tsaka from Blue Water to Hagimit Falls, I surely don’t want to miss these places, it maybe our first and last. thanks a lot. hi! this is really helpful since were planning to go there next month.. I was thinking to stay sana sa Dayang pero parang di ganon kaganda ang comments mo.hehe anyways mas ok ba sa isla reta or sa babusanta? very helpful tong series na to for my planning of the trip to Davao this weekend.Thanks so much!the best! THIS IS THE MOST INFORMATIVE TALICUD ISLAND REVIEW I’VE SEEN! this just invited me to view all your posts 😉 keep up & God Bless you always. more FUN (& safe) TRIPS ahead! Isla Reta is the best resort in Talicud.